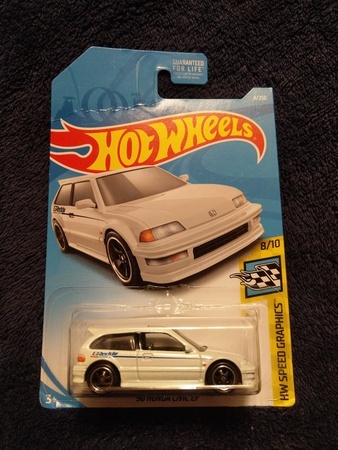 Description: Hot Wheels 2018 Super Treasure Hunt Honda Civic EF bad card. Card has a crease across top and dinged corners, see pic. Items will be carefully packed for shipping. I will combine shipping. International shipping will be extra.